Reading Who What Wear lately, you might think that we're all shoving our ankle boots to the back of our closet right now since we keep on chattering on about the incoming of newer spring shoe trends like Teva-inspired sandals and the like. But that couldn't be farther from the truth. Ankle boots are, and as far as we're concerned will always be, a staple in our closets. But we also realize that you've probably worn your favorite pairs to death over the long winter and are petering out on outfit ideas with them. 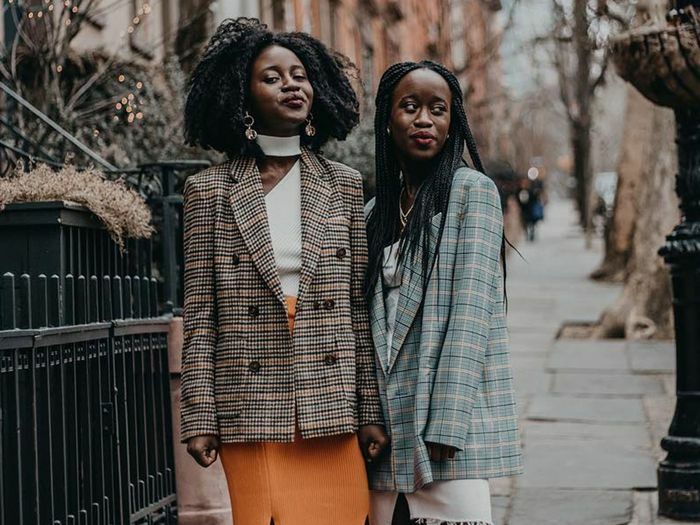 Before you think twice, we're serving up a fresh round of spring outfits with ankle boots that will ensure they'll still have your back like they always have. Sometimes all we need is a fresh outfit idea to fall back in love with our own closet, right? From the innovative way to style cowboy boots to the chicest spring dress–and–ankle boot combo, keep reading to get your fill of new-season outfit inspo and shop our favorite ankle boots along the way. A boxy blazer, jeans, and a fun bag are the fail-safe way to wear ankle boots any time of year. Try out the pant-tuck trick all the fashion girls and celebs are doing. Bonus points if your boots are cowboy boots. Snake print and combat boots make up the unexpected combination we're shocked we didn't think of sooner. White boots are the perfect addition to creamy neutral-toned outfits. Cowboy boots and bike shorts—because why not? Repurpose all your party dresses for the day. A delicate sundress softens tougher rain-ready boots. Throw some tie-dye in there to make it peak 2019. We'll be trying this sophisticated outfit at our earliest convenience. Test out the Crayola color trend with the help of your trusted ankle boots. Double denim deserves standout accessories—and standout ankle boots. Ground down springy ruffles with rubbery-soled ankle boots. Meet the newest Dr. Marten boots to sweep the Instagram fashion world. Next, the skinny jean trend your ankle boots have been waiting for.